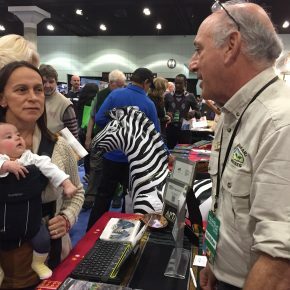 Asante Los Angeles Travel Show! 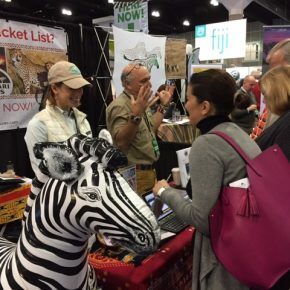 It was a busy and exciting weekend for us at the Los Angeles Travel Show. 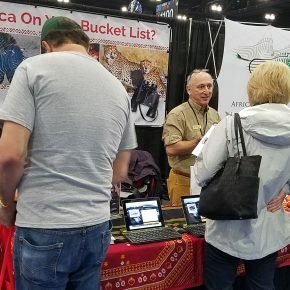 Asante (‘thank you’ in Swahili) to everyone who came to our booth in the 900 block. 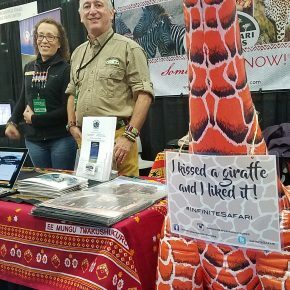 We met so many travellers and it was an honor to share with you the infinite possibilities of an African safari. I always enjoy talking about and sharing my passion for Africa. I know it takes time to commit to a trip of a lifetime and select a safari company. That’s OK. Planning can be half the fun and I am here to help! 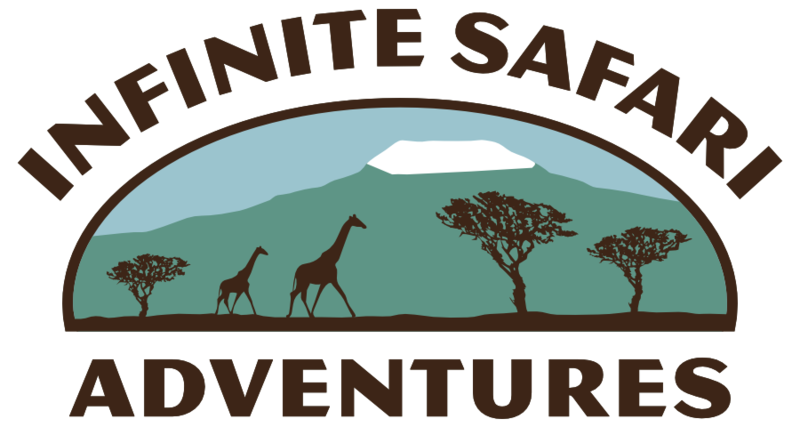 Infinite Safari Adventures prides itself on quality, attention to detail, your safety & security, listening to your wants and needs, and then creating the perfect safari for you. 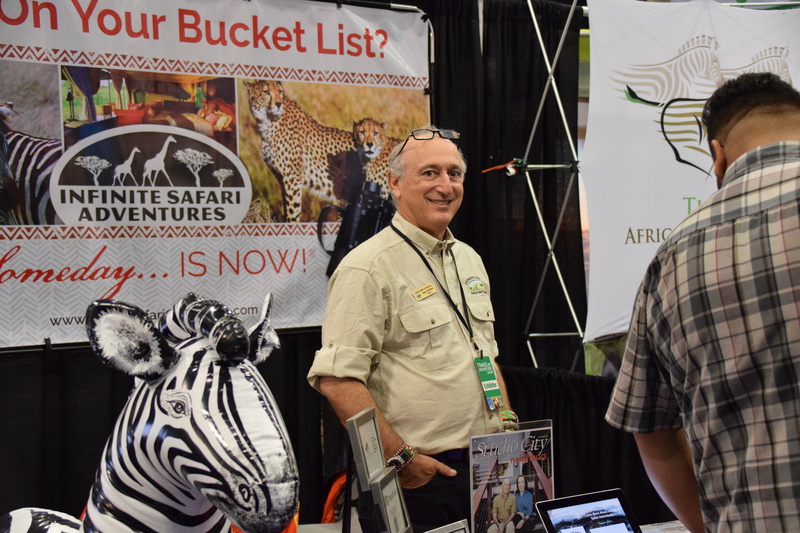 Whether you plan to visit Africa this year, next year or in the future Infinite Safari Adventures is here for you. Here is a gallery of photos from the event. 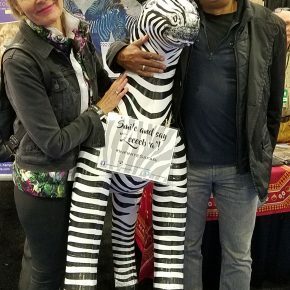 Our zebra and giraffe were a big hit! 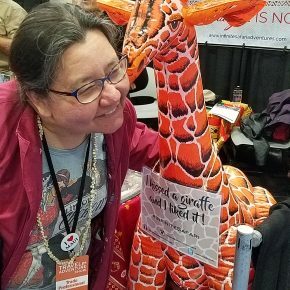 This year they wore signs which said “Smile and say zeeeebra!” and “I kissed a giraffe and I liked it!” Lots of guests stopped to take photos with our mascots. 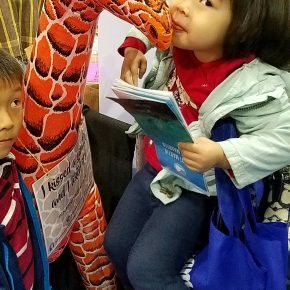 If you have a photo with our inflatable friends, please tag us on Facebook, Twitter and Instagram and use #infinitesafari so we can like and share your photos! Greeting guests with the possibilities of an African safari! 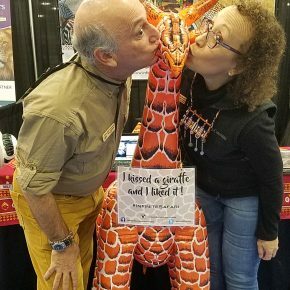 Kissing a giraffe and we liked it!